was born on November 9, 1941 and died of Tuberculoses on September 6, 1990. The fan's hope of a legendary Creedence Clearwater Revival reunion in full attendance died with him. 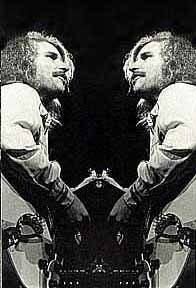 Tom Fogerty was the crucial link between John Fogerty on the one side and Doug Clifford and Stu Cook on the other. After his departure, John, Doug and Stu put together another album with the title, "Mardi Gras." Although the album contained "Sweet Hitch-Hiker" and "Someday Never Comes" as well as two further masterpieces from John Fogerty's quill, it still fell short of the public's expectations. It is important to mention, of course, that the album wasn't as bad as the platinum-spoiled band later criticized. Even so, the album went gold proving that this work should not be left out by record collectors. As the album was being produced (in every sense of the word), John was clearly powered-out. With that came the ever more obvious differences between Doug and Stu. Thus the break-up have been smoothed by a man who, at this point, was no longer aboard. At the height of C.C.R's fame, responding to an interview question from a BRAVO reporter, "What do you consider the greatest joy in your life?" Tom is claimed to have responded, " My brother, John." This up-font honest answer is one that would indeed fit Tom Fogerty at least it would describe the two brother's relationship. Tom Fogerty, as well as Doug Clifford and Stu Cook, owe their thanks of world-fame to the genius of John Fogerty. The big breakthrough was the dream that they dreamt together in November 1959. 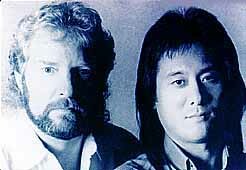 In the early years, it wasn't John who supplied the musical sound, but rather Tom Fogerty. He was the singer and thereby the group's front man. 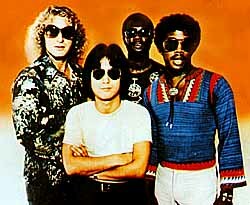 At that time, they called themselves 'Tommy and the Blue Velvets' and later, under outside pressure, 'The Golliwogs' (an idea of their record label). Yet already, it became clear that the real hitmaker wasn't Tom, but John Fogerty. The first local hits, "Bonita"and "Brown Eyed Girl" stemmed from Tom's brother, John. It was John Fogerty who lead the sworn team from hopelessness to world-fame with his unforgettable hits. Tom no longer had that opportunity, despite his remarkable voice. At the beginning of 1971, Tom Fogerty left Creedence Clearwater Revival. Some suggest that the stress of a "Travelin' Band" go to be too much for him. Maybe he just wanted to show that he also possessed songwriting talent. Since financial problems could hardly have been a factor then, he finally undertook leaving the shadow of his younger brother. Looking back and judging by the sales figures for his albums, it's easy to say that this attempt failed. Tom Fogerty never got the credit he deserved. At the beginning, everything looked very promising. His first single in 1971, "Goodbye Media Man Part I & II became a local hit, at" least. 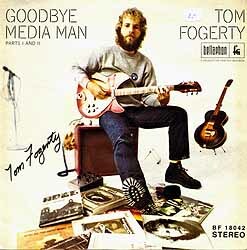 In mid-1972, Tom Fogerty released his first album, with the same title. Today, one might call it 'handmade' meaning that all the electronic garbage was left out. Tom Fogerty searched and found his own style through this album. His first single, "Cast the First Stone" proved Tom's ability to write especially melodious pieces. 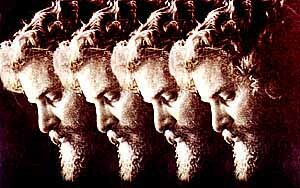 He played his second album, "Excalibur" under the influence and with the help of Jerry Garcia from the Grateful Dead. In 1974 the last album, where John Fogerty, Tom Fogerty, Doug Clifford and Stu Cook could be heard "together" was released. It was Tom Fogertys third solo album with the name "Zephyr National". Until today, it's unclear whether all four played together on all the songs on the album or if John worked alone on the singles, "Joyful Resurrection "and "Mystic Isle Avalon. " What is certain is that C.C.R. 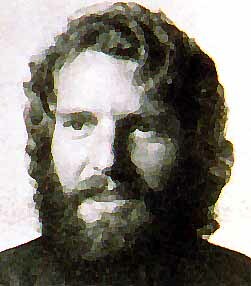 specialists like Peter Koers ("Rockin' all over the world - Creedence Clearwater Revival" - Peter Koers, 153f) recognized a guitar style distinct to John Fogerty on the album. 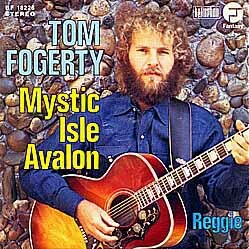 With it's release, "Joyful Resurrection" became and will remain Tom Fogerty's most successful single track. The extent that John actually played on this track brought something special to the whole thing (see above). In November 1974, Tom Fogerty's most successful solo LP, "Myopia" was released. From the old crowd the refreshed Doug Clifford and Stu Cook were there. On lead guitar was Russell DaShiell who, along with Doug, Stu and Don Harrison was supposed to found the "Don Harrison Band". Even this album, which is another must for any C.C.R. collection, found little attention. The singles, "Give Me Another Trojan Song" and "Sweet Things To Come" were almost never played on the radio. Also disappointed in the lacking support of Fantasy Records, Tom Fogerty (in 1975) washed his hands of the recording label of the C.C.R.-golden years. Peter Koers (page 155) reports that he then founded his own label, "Ginseng. "Under this label only one single was released, namely the first recording from Tom Fogerty's summer-of-1975-founded group, "Ruby." The single, "Judy Lee" / "Baby what you want me to do" is, for this reason, a rarity among collectors. One other reason for this must be that the A-side was never released on LP. The band "Ruby" was made up of only the finest: Randy Oda (lead guitar), Bobby Cochran (drums), Anthony Davies (bass) and Tom Fogerty (lead vocals and rhythm guitar). The four developed their own unmistakable rock-sound. In 1977, the first album with the title "Ruby" was released and contained everything the rock-heart desires. The album was relished by the specialty press and especially guitarist, Randy Oda was given his fair share of attention. Seen commercially, the album remained as unsuccessful as the other Tom Fogerty albums. The fans barely took note of the album. This could be because the distribution of the album in European record stores didn't work. Particularly in Germany, the album was only available in select stores with a long delay. In 1978, the second and unfortunately last work from the group entitled, "Rock and Roll Madness" didn't pan out any better. Even this album consisted of the finest in Rock. It arrived, however, during the outbreak of Disco-music, to which other great Rock bands like Bachman-Turner Overdrive also fell victim. All that can be said is that Ruby simply came at the wrong time. Had the group hit the market a few earlier or a few years later, things could have gone much differently. Bad luck seemed to follow Tom Fogerty. This was also the case with Tom's marriage, which also stood at the edge of defeat. Tom Fogerty needed some distance and, as Peter Koers notes (p.156), turned back towards Berkeley, in 1980, which he would not regret. There he met and fell in love with Tricia Suzanne. At the end of 1980, Tom married Tricia Suzanne. At the wedding reception, John, Doug, Stu and Tom couldn't help but spontaneously put on their best with some old C.C.R. classics. At the time, no one knew it would be their last session. After the wedding, Tom, Doug and Stu talked about a reunification of Creedence Clearwater Revival. John Fogerty was apparently not interested. It can only be speculated if this was the result of John's unwillingness to bury the hatchet of the existing differences between band members, or if he was just sick of others (as he described in his 1985 release, "Mr. Greed") profiting from his creative genius. What is known is that the dream of Creedence Clearwater Revival reunion faded with the premature death of Tom Fogerty, ten years later. If John were able to look into the future then, perhaps he would have made a different choice. Unfortunately, the fans would never enjoy such an historic moment. 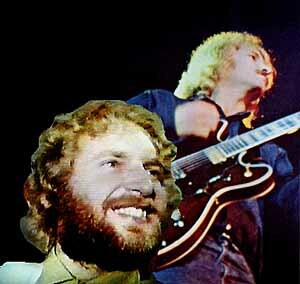 In 1981, the last solo LP from Tom Fogerty was released entitled "Deal It Out". 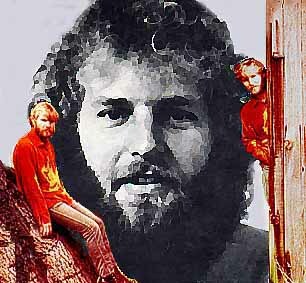 The first track on the album proved that Doug Clifford and Tom Fogerty could have developed a wide-spanned songwriting. At this point, one must ask instinctively why Doug, Stu and Tom never put together a new band, for example with Randy Oda on lead guitar? The tracks on the album "Deal It Out" which stand out are, among others, "Champagne Love", "Open The Window", "Why Me" and "Tricia Suzanne". It might be worth repeating that even this album, as tradition would have it, was also no commercial success. It took another six years for Tom to make what we now know as his last attempt. Together with his friend, Randy Oda, he recorded an album under the name "Sidekicks" which would have been called "Rainbow Carousel". This was truly the peak of Tom's creative ability. He and Randy Oda delivered a real masterpiece. The album has it's fill of sweet melodies which finally bring Tom's one-of-a-kind voice to the spotlight. It must have made it even more difficult for Tom, when the recording company didn't even want to put the album on the market at first. This would be the last bitter pill for Tom Fogerty during his solo career. He would not live to see the release of the album in 1992, entitled "Sidekicks". In this way, Tom was at least able to give his fans one highlight, which without a doubt has earned it's place among the C.C.R. albums.